Wake: The Henson ( formerly Henson Park Hotel ), Illawarra Rd, Marrickville. The Newtown Jets have lost one of the most iconic figures of their 108-year history following the passing of former player, coach and Team of the Century member, Brian ‘Chicka’ Moore.Mr Moore passed away from a long illness yesterday aged 70. Newtown Jets director and media manager Glen Dwyer says Moore will forever be remembered by the Henson Park faithful for his significant contribution to the foundation club.”For the baby-boomer generation, Chicka Moore was the living definition of Newtown,” Dwyer tells RLW.”He never had the privilege of being in a premiership winning first-grade side or playing in a Test match, yet no one who saw him in his prime would deny that he was one of the best centres of the period.”He was a tall, long striding, majestic running centre. In the days where men were starting to grow their hair longer Chicka with his bald head was a landmark at Henson Park.”His combination with fellow centre Bob Keyes was marvellous and I’ve heard lots of judges say that if Reg Gasnier and Graeme Langlands weren’t around, Brian Moore and Bob Keyes would have been the Australian Test centres without doubt.”Moore played for Newtown during a difficult period, with the Bluebags only making the finals three times during his 11-year career. However, there were a couple of highlights to savour.Arguably the finest moment of his career came in 1973 when he almost single-handedly helped Newtown to a remarkable comeback win over St George in the final of the 1973 Wills Pre-Season Cup. “Newtown were down 15-2 at halftime and the heat was horrendous,” says respected rugby league historian Terry Williams. “They won 17-15 and that was largely on the back of Chicka. He basically took St George on on his own. In attack he cut the Dragons to pieces out wide and when they had the ball he became a road block. Moore represented NSW on three occasions between 1963 and 1970 and was Australia’s top tryscorer during the 1967-68 Kangaroo tour, despite not playing in any Tests. Unfortunately, he had the misfortune of coming through in the same era as RLW Immortals Bob Fulton, Reg Gasnier and Graeme Langlands and probably didn’t represent Australia as much as he should have. A Newtown man through and through, Moore also held the distinction of being the Jets’ last-ever first grade coach taking the reins for the 1983 season following Warren Ryan’s resignation. A respected police officer, in 2008, Moore was inducted into the NSW police Team of the Century while in 2009 he was awarded the NSW Police Medal for diligent and ethical service during his 29-year career in uniform. “For all his footballing achievements he probably affected more people’s lives in his role as a physical instruction trainer at the police academy,” Williams says. “There’s a whole generation of young coppers for one or two decades who were put through their paces by Chicka. “He was just a really memorable character,” Dwyer continues. Newtown legend Brian ‘Chicka’ Moore has passed away at the age of 70. 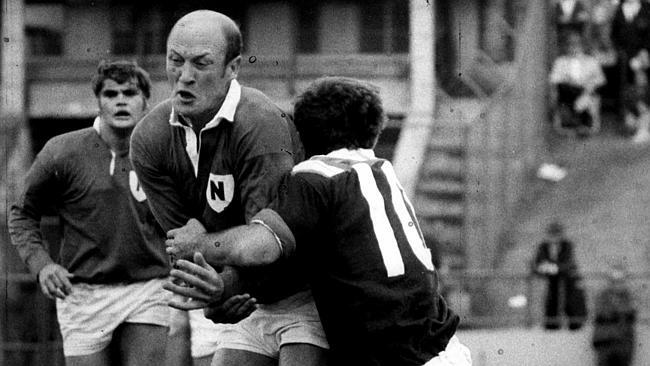 ONE of the Newtown Jets’ rugby league players of the century, Brian `Chicka’ Moore has died following a long battle with illness. Moore was a great of the now defunct NRL club, playing with the blue bags from 1962 until 1973 and also coaching the Jets in 1983. Six years after he was named at centre in Newtown’s Team of the Century, Kangaroos international Moore passed away aged 70 over the weekend. “Chicka was a player with an incredible try-scoring record,” said the NRL’s head of football, Todd Greenberg. “In his 173 matches for Newtown, he scored 90 tries; that highlights what a player he was. In full flight, he was simply magnificent to watch. “He was also a Kangaroo tourist and represented NSW, and then coached Newtown during its final year in the NSWRL. Brian “Chicka” Moore (19 April 1944 – 26 October 2014) is an Australian former rugby league footballer and coach. He played in the New South Wales Rugby Football League premiership for the Newtown “Bluebags” from 1962 to 1973 – scoring 90 tries during his long and successful career. 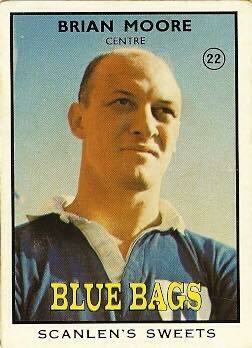 He later coached the club for its final season, the 1983 Winfield Cup Premiership. He represented New South Wales in 1963, 1965 and 1970. He also represented Australia, touring Great Britain and France with the 1967/68 Kangaroos, playing 11 minor tour matches but no tests. During the 1970s Moore captain-coached in the Newcastle Rugby League with the Macquarie club. 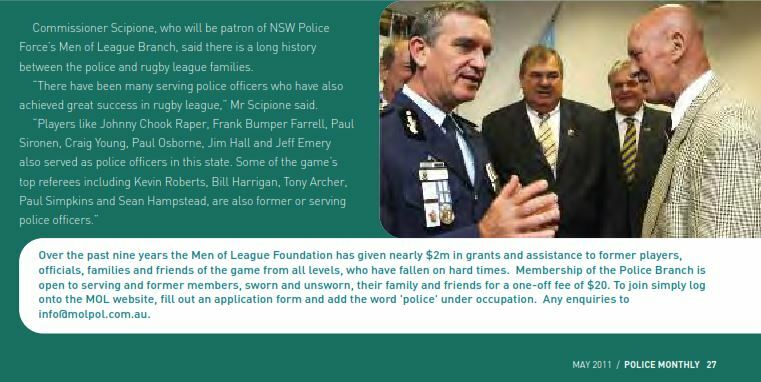 While playing football, Moore also served in the New South Wales Police Force and in 2008, rugby league’s centenary year in Australia, he was named at centre in a NSW Police team of the century. In 2008 Brian ‘Chicka’ Moore was named in the Newtown Jets team of the century. He died following a long illness on 26 October 2014. “1970-1979”. Newcastle Rugby League. sportingpulse.com. Retrieved 30 December 2011.